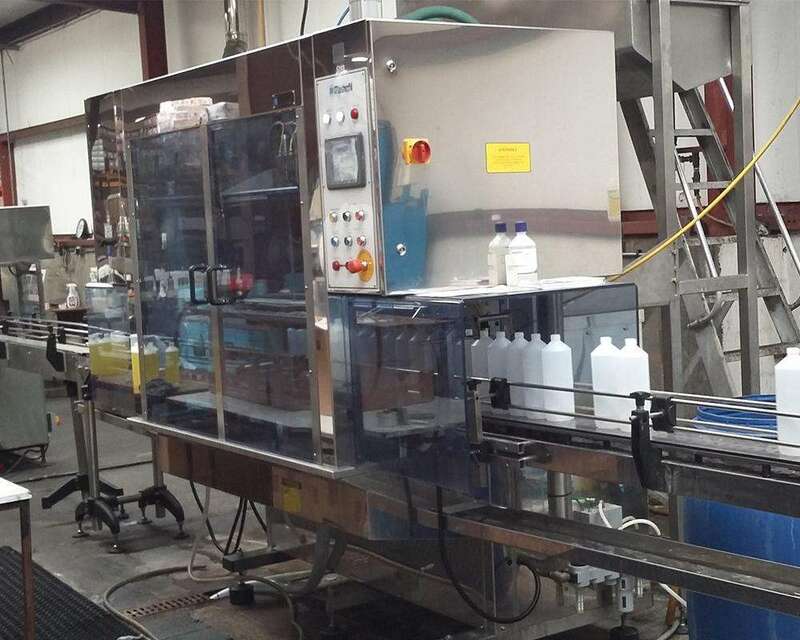 Existing customer to Adelphi Packaging Machinery, RP Adam, have recently invested in a new Masterfil automatic filling line, increasing their liquid production capacity at their site in Selkirk. The company has a significant presence in the United Arab Emirates, Qatar, Oman and Saudi Arabia, and have grand plans to expand the business by 2020 both at home and abroad. The new Masterfil six head automatic filling line gives RP Adam the capability to produce an additional 2.5 million litres of liquid product every year, with a run rate of up to 2,000 bottles every hour. Martin Carroll, RP Adam’s Technical Director, believes the new filling line will give a significant boost to the company’s capabilities, as UK production volumes increase to match year-on-year sales growth saying, “With several new long-term contracts bedded in and a number of supply partnerships starting to bear fruit, we decided now is the time to invest in improving the entire site – both from a capacity and operational standpoint”. “The additional new filling line means that we now have the confidence and capability to significantly increase production, as well as having the reassurance that we can continue to fulfil orders in the event of unplanned down-time with our other filling lines. This builds robustness into our business, and increases our ability to meet increased orders for our core products”.